Well I’ve done it, 30 days of Scarf of the Day posts. It has been so much more work than I thought but I sort of got the hang of it. And I’m happy that I did it. 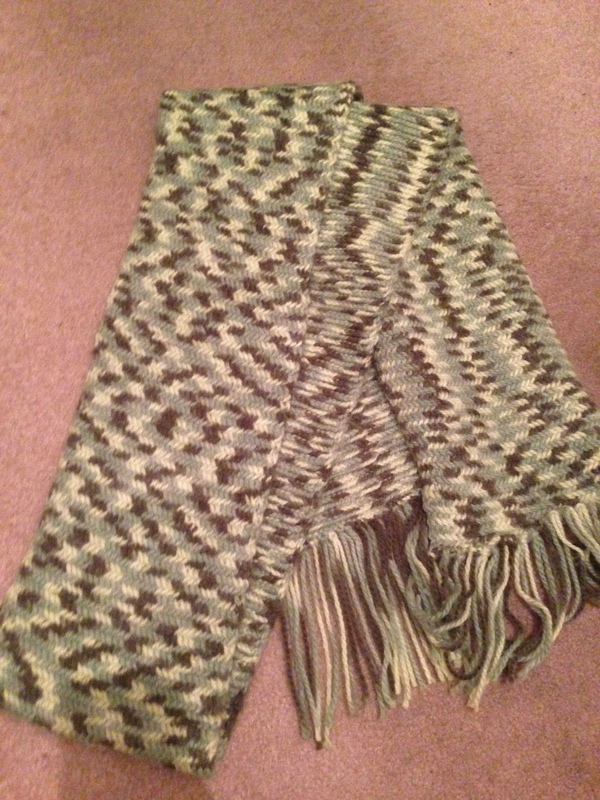 This last post is an extra long scarf that I knit with the Herringbone stitch. I saw it on Pinterest and loved it. The first pin I found was just a picture so I had to find a good tutorial to help me. This video from New Stitch a Day was the best for me. I’m very much a visual learner. I had this big one pound skein of yarn that I wanted a pretty new stitch for. 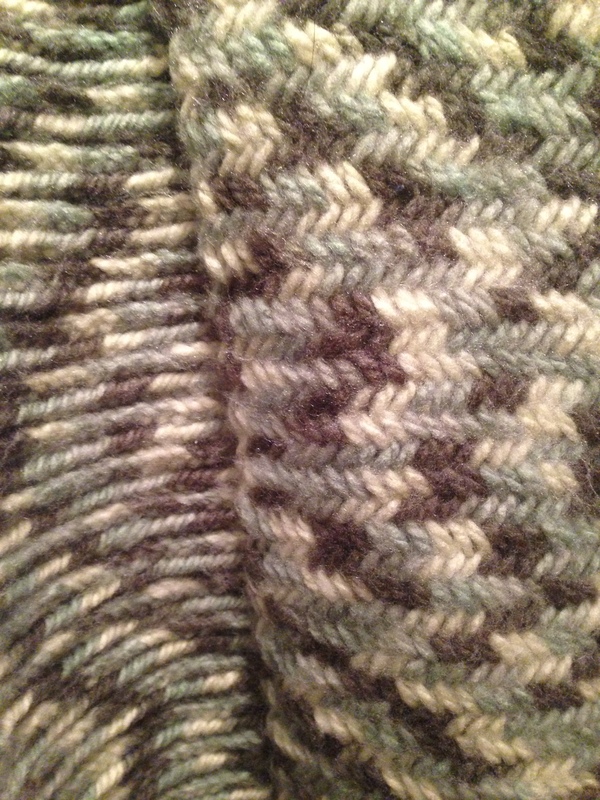 I love the Herringbone stitch and it is now my favorite and my go to one if I’m working on a new project. With this stitch there is a definite right side and wrong side as it is a two-row repeat. I used circular needles to accommodate the number of stitches I cast on and a couple of sizes up on the knitting needles to make it easier to knit the stitch. This is more true to the color. This is one of my favorite scarves and I love how warm it keeps me because of the dense stitch in the fabric. It also looks really cool because of the way different shades of green are variegated throughout. Well this is my last Scarf of the Day post. It’s hard to believe that I made it thirty days and that I have that many scarves to share with all of you. Thank you all so much for reading. How did your 4 day weekend go? I got back to my knitting and started something new.